The DeWALT 9 Pocket Deluxe Carpenter's Nail and Tool Bag features large gusset-style pockets which provide increased capacity and easy access. Includes a zippered pocket to secure valuables, plus a built-in utility knife pocket. The patented pouch handle design allows for easy one-handed carrying. The included double-tongue roller buckle belt fits waist sizes 29"-46". Pro Portfolio is rated 5.0 out of 5 by 2. Rated 5 out of 5 by Liz 58 from Great book! I bought this book many years ago for my husband as a Christmas present. He still uses it. It is very durable! 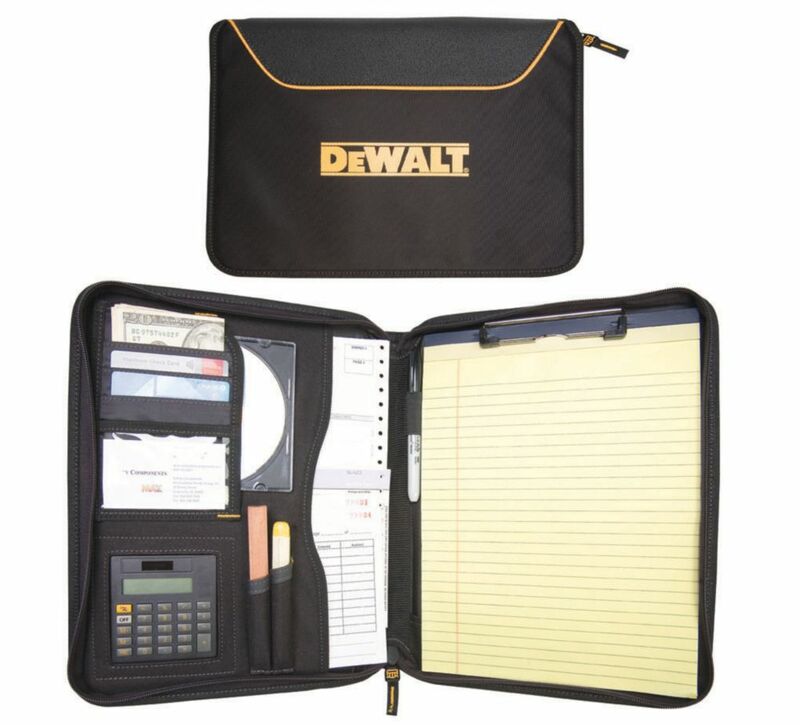 This year we bought one for our son as a Christmas present and he really appreciated it as he is a carpenter and he needed something for his receipts and job notes. A worthwhile investment! Rated 5 out of 5 by Bear from Great product Bought it a month ago, only 1 left in the store. Needle in a hay stack.